It's been a super fun and festive time to fly, especially on Jetstar flights! Happy happy happy holidays! Ps: Don't miss our Boxing Day sale now on, from as low as USD45, S$52, RM72, THB1359, PHP1600, IDR399k one way all-in, only at jetstar.com ! Heading to Kuala Lumpur and Penang soon and in search of unique accommodation options? Look no further than the Sekeping properties! Housed in unique spots away from the hustle and bustle, these B&Bs are rustic but also contain all the mod-cons. Jetstar.com flies up to 5x daily to Kuala Lumpur, and 2x daily to Penang, from as low as S$47.30^ one way all-in. ^FREE seats promotion, ends 30 November 11.59pm SGT. T/Cs apply. Another scam account, beware! Jetstar is a low cost carrier, obviously we do not offer a "First Class" cabin on any of our flights. We are also NOT giving away any cash prizes. 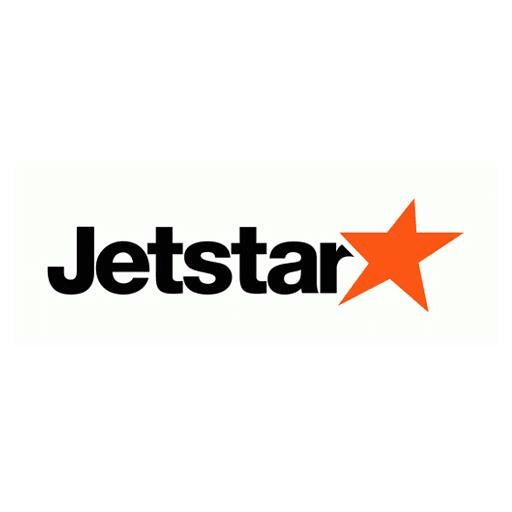 Jetstar Singapore is a scam account and is phishing for your details. Do not fall prey. Report and block the account. Thank you. Thinking of ending 2018 or welcoming 2019 on a high note? Why not try ballooning in ancient Bagan? The city of 2000 temples is best seen from the sky, amidst the backdrop of a rising sun. Jetstar.com , where you can catch an overnight bus to Bagan. ^Fares are one way, taxes and fees payable. Scam alert! This account Jetstar Airways Singapore is in no way related to us so DO NOT click on the link and give away any personal information. If you see the below post on your feed please report it to Facebook. Thank you. Facts: - There's only one Jetstar Asia Airways official Facebook account. - We are celebrating our 14th anniversary hence the 100,000 FREE seats sale at jetstar.com. - We are giving away a flight and 3D2N accommodation package to Bali. Details at fb.com/jetstarasiaairways . Bringing your kids to Singapore and finding a place where they can run "wild" playing indoor games and activities, such as the Flying Fox, street basketball, and even parkour?! Look no further than SuperPark Singapore , direct from Finland! This 40,000 square-feet indoor park at Suntec City offers 20 energising activities in three areas - Adventure, Games and Freestyle Hall. Book your best fares to Singapore only at jetstar.com , from as low USD50, RM56, THB1024, PHP1900 or IDR279k one way all-in! Friday is Fun, Fabulous and Fantastic when you can Fly away for less, only at jetstar.com ! Fly from Indonesia to Singapore: Palembang IDR269k Pekanbaru IDR269k Jakarta IDR379k Medan IDR439k Surabaya IDR479k Denpasar (Bali) IDR559k Fly from Thailand to Singapore: Phuket THB1049 Bangkok THB1359 Bangkok to Ho Chi Minh City THB1369 Fly from Malaysia to Singapore: Kuala Lumpur RM74 Penang RM76 Fly from Phnom Penh to Singapore USD54 Sale fares are one way, inclusive of taxes, fees and 7kg carry-on baggage allowance. Sale ends Sunday 18 November 11.59pm SGT, so hurry and book now at jetstar.com ! Week 3 of Friday FREE Fare Frenzy is about to commence! There will be six exciting S$0* (base fare before taxes) destinations that will go on sale from 9am SGT on Friday 19 October. Set your alarms for 8.55am to make sure you don't miss out! Follow us on instagram.com/jetstarasia for hints and tips on how to book. Club Jetstar members go to jetstar.com/sg/en/club-jetstar/club-jetstar-deals for your surprise now! *Fares are for one way travel; taxes, fees and a booking fee are payable. 3 more sleeps to another round of Friday Free Fare Frenzy*, are you ready? We'll be dropping hints on Instagram so follow us at instagram.com/jetstarasia to see if you can figure out the next 4 destinations! Lowest fares only at jetstar.com/sg/en/deals. *S$0 (base fare) sale on Friday 12 October applicable to flights departing from Singapore only. Specially for our friends in the Philippines, don't miss out on these superb fares for your next escapade! Fly from Clark to: Singapore PHP1400 Osaka (Kansai) PHP2998 Fly from Manila to: Singapore PHP1748 Nagoya PHP3198 Osaka (Kansai) PHP3198 Tokyo (Narita) PHP3198 Sale fares are inclusive of taxes*, fees and 7kg carry-on baggage allowance only. Sale ends Sunday 7 October 11.59pm PHT, so book now at jetstar.com/ph/en/deals! *The Philippine travel tax of PHP1620 for locals will still be payable at the airport.